Aquatic, the world leader in innovative and inspirational bathware, now has completed a year-long program to refresh its entire line of hydrotherapy tubs. With enhancements to the jetting and plumbing systems, the refreshed product line sets a new standard for bathing luxury, relaxation and rejuvenation. The refreshing is among the benefits of last year’s merger of Lasco Bathware and Aquatic Whirlpools into a single company renamed Aquatic. Aquatic now has completed a year-long program to refresh its entire line of hydrotherapy tubs, which includes the luxurious Millennium bath. Completing the refresh of our hydrotherapy line is a major milestone in Aquatic’s post-merger era. It’s a good example of how we're integrating the design and engineering resources from Lasco Bathware and Aquatic Whirlpools to build even better products. Aquatic, the world leader in innovative and inspirational bathware, today announced completion of the company’s year-long program to refresh its entire line of hydrotherapy tubs. With enhancements to the jetting and plumbing systems, the refreshed product line sets a new standard for bathing luxury, relaxation and rejuvenation. The refresh is among the benefits of last year’s merger of Lasco Bathware and Aquatic Whirlpools into a single company renamed Aquatic. Aquatic has combined not only the catalogs of both predecessor companies, but also their unique strengths – Lasco’s manufacturing prowess and understanding of builders’ requirements with Aquatic Whirlpools’ design and hydrotherapy expertise. Renowned for outstanding style and engineering, Aquatic’s hydrotherapy line includes Millennium, Infinity, LuxeAir, Estate, Serenity, Serenity Studio, Restoration, Symphony and Builders’ Choice. In July, Aquatic announced the refresh of the Builders’ Choice series, a longstanding favorite among builders who want beautiful, feature-rich hydrotherapy tubs at a great value. All the other hydrotherapy series now have been redesigned and re-engineered for even better appearance, performance and quality. Smooth-faced jets with slightly lofted curvature for blending subtly into the tub well, creating a high-end yet neutral designer look that complements traditional to contemporary bathroom designs. Cleaning also is easier because there are fewer surface areas for potential debris to collect. Low profile, minimal design suction screens that are both more modern-looking and less intrusive in the bathing well. Dual-port spinning jets targeting the back muscle group. These jets feature two side-by-side oval ports; water moves through both ports simultaneously in opposite directions to create a constant, circular motion that produces a consistent, even massage with fewer interruptions in movement. Additional jets that are fully adjustable allowing the user to customize his/her experience by changing the force and direction of water flow at each jet. Tighter jet compression to ensure optimal air-water mixture and a more consistent, aerated water massage. Engineering changes and quality construction to minimize water retention in the plumbing system, optimizing performance and reducing potential service points. Born from the 2010 merger of Lasco Bathware and Aquatic Whirlpools, Aquatic is the world leader in bathware, offering the broadest and most inspiring selection of tubs, showers and accessories. The company’s Hydrotherapy, Everyday and Accessible lines include more than 300 superbly designed and engineered products for virtually every need. 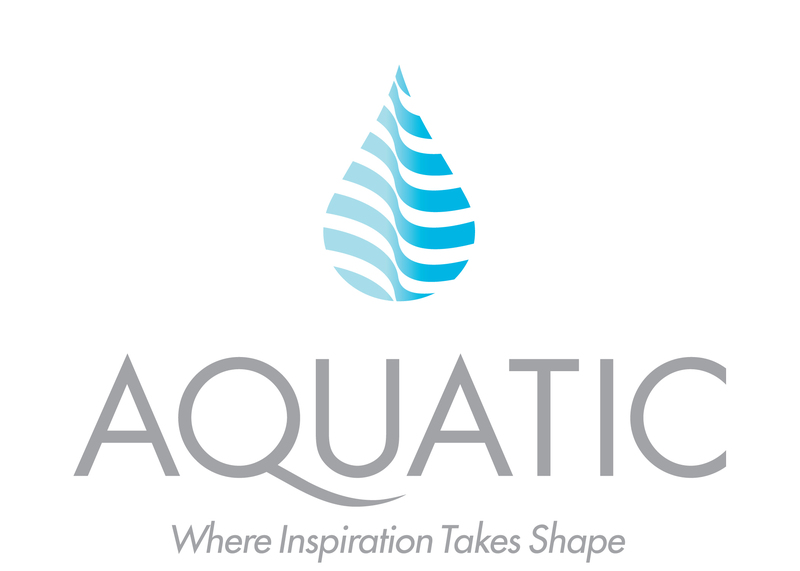 Based in Anaheim, California, Aquatic serves distributors, builders, architects, designers and consumers through a nationwide network of state-of-the-art facilities for manufacturing, distribution and support. 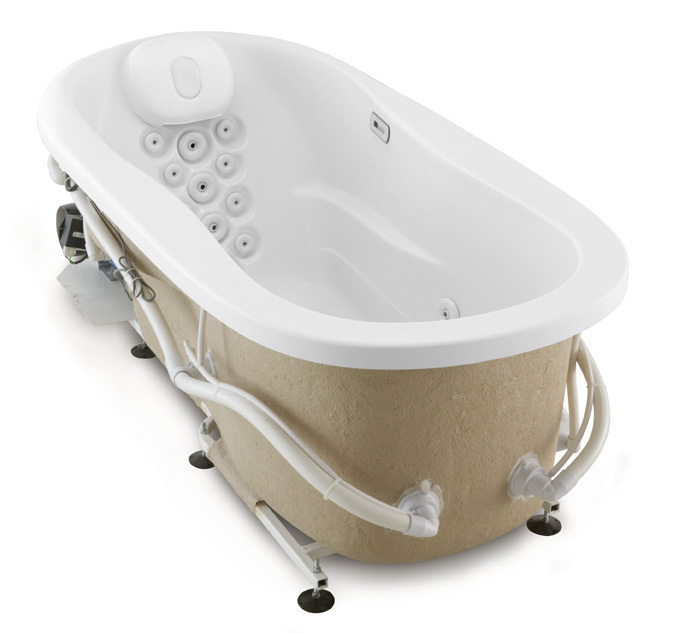 For more information, visit http://www.aquaticbath.com. Aquatic’s newly refreshed hydrotherapy tubs include more jets -- some with dual ports -- for better targeting of key muscle groups. Engineering updates minimize water retention in the plumbing system, optimizing performance and reducing potential service points.